Chelsea’s transfer woes show no sign of slowing down, largely due to what is reportedly a series of disagreements between manager Antonio Conte and the club’s Board. Latest reports from Tuttosport suggest that the manager is keen on signing young and upcoming striker Andrea Belotti from Torino. However, prying away the 23-year old won’t be easy, owing to his large release clause of €100 million, which the club owner, Roman Abramovich, is unwilling to meet. The interest in the striker, who has been linked with the London club before, has emerged again, owing to Diego Costa’s breakdown with the side. The Spanish forward, who played a key role in their 2014 Premier League title haul, didn’t show up for training, and is all but set to leave the Blues. 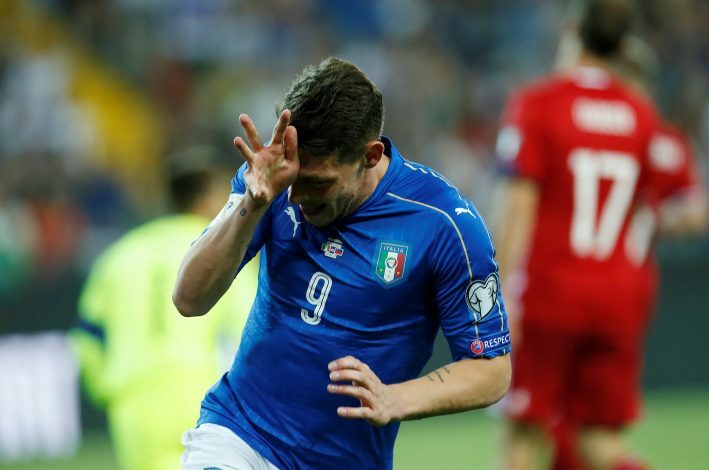 Belotti, who scored 26 goals in the Serie A last season, would be an ideal signing for the reigning English champions. Currently, Michy Batshuayi looks visibly unsuited spearheading the attack. Moreover, Chelsea have already broken their club transfer record with their signing of Alvaro Morato from Real Madrid for a fee of £70 million. However, they still lack clinical ability upfront if they are to make a serious attempt at retaining their crown. Conte has repeatedly voiced his frustrations over the lack of spending done by the club over the summer. Last week, Arsenal winger Oxlade-Chamberlain was believed to be on the radar to join Stamford Bridge. PSG wing-back Serge Aurier is another player that they have been linked with for quite a while now. Following their embarrassing 3-2 defeat to Burnley on opening day, which also saw two of their players suspended, the English giants have come under great scrutiny to amend their flaws. An imbalanced backline and a lack of options up front will be the least of their concerns if the reported rift between the management and the board is true. However, the new season is just a week old, and when they clash with Tottenham on Sunday, the pressure will be on.